On Sept. 7 and Sept. 8, Marie McC posted photographs of a mural in progress in the Chirilagua (a.k.a. Arlandria) neighborhood in Alexandria. It’s a neighborhood where many immigrants, particularly Hispanic immigrants, live; the mural is rich with symbolism. This detail shows a sheriff holding his hand up to stop a woman (who can’t be seen in this picture) at the border. The baby wearing a diaper/nappy behind him is George Washington, with his nurse, an African American slave. The angry-looking man at the upper right is a judge, pointing the would-be immigrants back to the countries they came from. The sign round his neck refers to House Resolution 4437 “To amend the Immigration and Nationality Act to strengthen enforcement of the immigration laws, to enhance border security, and for other purposes,” introduced in December 2005. You’ll find two more detail photos of the mural here. 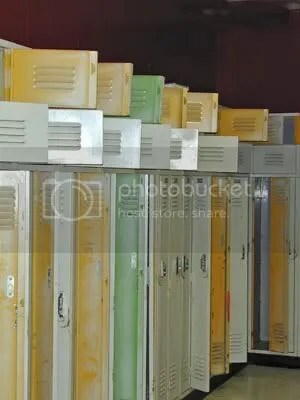 This will bring back memories for some of my readers and others will be too young to remember, other than as a history lesson. This dart board was in the window of an antique shop I passed a couple of weeks ago, but it’s gone now (snapped up by a memorabilia collector perhaps). The fire engine from the local firehouse is a popular feature with the children attending this annual neighborhood celebration in Arlington, Va.
Once upon a time, there were town centers with high streets full of shops and restaurants and people living in the flats above them, sometimes the shopkeepers and resturant owners, and sometimes not. Then there were strip malls and sprawling suburban shopping malls, and now there are town centers again. They are artifically created and known as “mixed-use development” in town planning parlance. This one, Market Common, in the Clarendon area of Arlington, Va., is very pleasant and a huge improvement on the dreary expanse of parking lots that used to occupy the area. 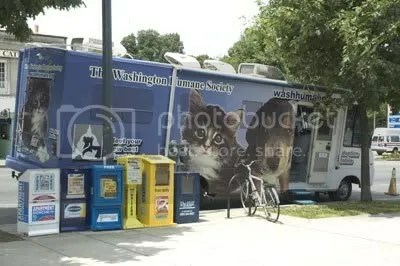 The Washington Humane Society makes it very easy to adopt a pet. On Saturday, their “adoption mobile” was parked outside Politics and Prose, a popular Washington, DC bookstore, and a lineup of dogs waited (some less patiently than others) for new owners. 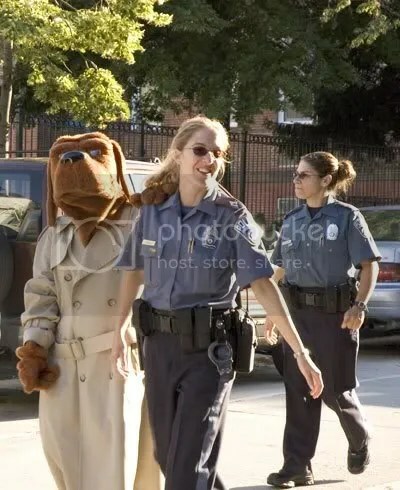 McGruff the Crime Dog escorts a D.C. police officer in yesterday’s Capital Pride Parade 2006. More parade pictures here.